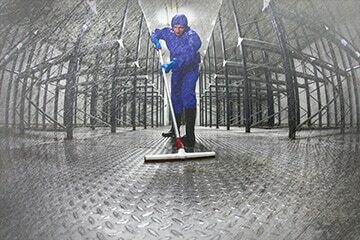 FDA-Quality Cleaning Supplies for Industrial and Grocery. We provide an extensive assortment of hygienic and ergonomically designed cleaning and material handling tools for industrial, maintenance, grocery and janitorial. Our products include squeegees, brooms, buckets, scoops, scrapers, drain brushes, hoses, and nozzles. Our color-coded product lines help keep tools in designated areas for designated uses, helping to prevent loss and misuse, and keeping your workplace clean and safe.